Sunday mornings came alive at the hallowed ground of Foxhole with the munchkins, some having never picked up a bat or ball learning the basic skills and some developing quite quickly into budding cricketers. Batting, bowling, fielding and fun were the hot topics and the variety of games kept the fun and enjoyment levels high. The great British summer tried to dampen our spirits during one of the 8 sessions, but thankfully Totnes Pavilions came to the rescue and we enjoyed a fab session indoors. Each week a player was nominated All Star of the week and they were awarded a certificate and voucher from our 1st Sponsor Bayard’s Kitchen kindly donating a child’s meal deal voucher to any one of their Restaurant Cafe’s. Each week the All Stars responded fantastically to their awards, keenness, helpfulness and wanting to learn were core values that each player demonstrated to earn there awards. Most weeks it as hard to pick just one from the squad. On one occasion we were interrupted by the Devon Air Ambulance who were attending an incident near by, the All Stars we naturally inquisitive and the pilot engaged with them whilst he was waiting for the next step in their service. We were due to have a small fete event after the last After Party All Stars session, however we did fall foul of the weather on that occasion, we are rolling the event over to next season (keep an eye out for dates). 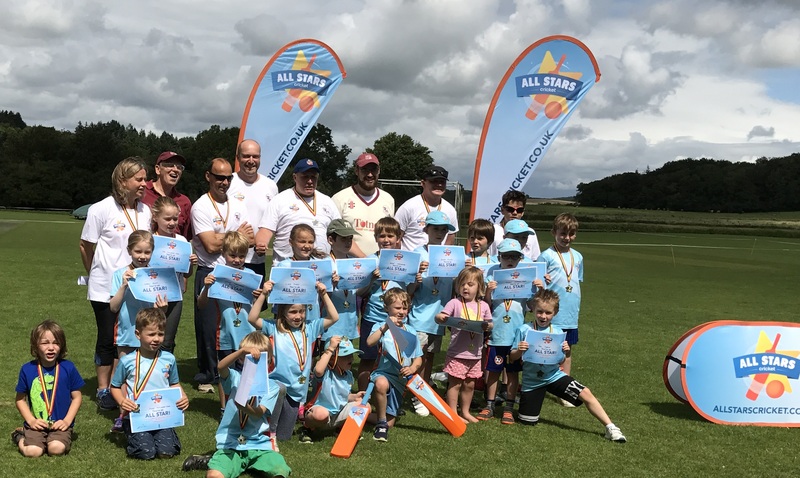 It wasn’t only the All Stars that became involved in the cricket fun, mums, dads, aunts, uncle’s gran and granddads and even brothers and sisters joined in the fun before during and after each of the sessions. Crocodile Swamp became a popular favourite for everyone at the end of the sessions, an opportunity for the Pirates to take revenge on the Crocodiles! snapping and tail wagging making for an amusing end to each session…. We hosted All Star (ECB mascot), who joined in the fun and even had a crack at crocodile swamp… perhaps we’ll have another visit during the winter! Its not just on the playing front we gained strength our back room team of coaches and helpers is developing too! Elliot & Jimmy were great support in organising and rolling out the programme. We also had coaching assistance from our playing fraternity namely Gav, Nelly, Simon H, Glen, and a cameo by Jono (going back to Uni with some All Stars merch….) it was support outside our teams where we have gained the most. Assistance from Janie, Simon R, Hannah, Naomi and our youngest recruit Sammy…. Thanks gang for all you help during the season. Welcome to Dartington & Totnes CC lets make the onward journey a fun one….